Christian and I got an email two weeks ago saying that a boy was being transferred to the rescue ASAP. He is 8 years old, well-behaved, with no major health problems. 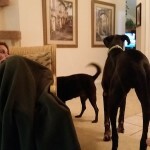 They said that they will evaluate his behavior in a more experienced foster’s home and if he does turn out to be exactly that, they would ask us to take him in. I was so excited! But I don’t do well with disappointment, especially if it’s something that I’ve been waiting for for a while. So I told them I would be more than happy to take him on should he be a right fit for our house, but I tried to curb my enthusiasm in my heart. I really didn’t want to get my hopes up and then be disappointed that we couldn’t take him in. This is part of the reason why I didn’t announce this to our friends and family. Then this past Wednesday, they sent us more information about him and asked if we wanted to take him in and if we were available this weekend. We needed the bare essentials to get started with. 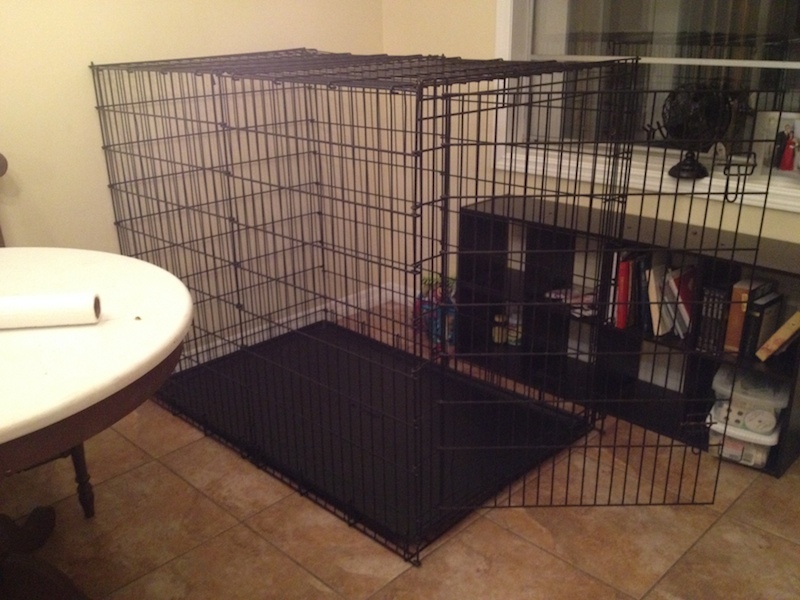 This included a double handled leash, an Easy Walk harness, stainless steel bowls, food, a bed, and a crate. Thankfully, they were able to loan us a crate and had some food for him, but for the rest, we were on our own. We had purchased stainless steel bowls a while back and a giant waterer, so all we needed to get was the leash, harness, and bed. The leash and harness I got the night before and I waited on the bed because I had no idea what size to get. I did locate a comforter to let him use until we made or bought a bed. Christian was marshaling at a race at the Daytona International Speedway last weekend, so he wasn’t home until later in the day. I went out to greet the fosters and the dog outside by myself. He was bouncing around and sniffing and totally excited. 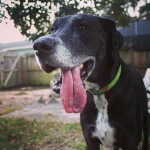 You seriously canNOT tell that he is a senior Great Dane. He was acting like a two-year old! It was adorable. We talked a little bit about him and what they’ve experienced the past week and what I should expect with him. After talking for a while, I went in and brought Roxie out. After prelimiary sniffs, she decided she got the information she needed from him and walked away to smell the grass. She prefers to socialize with people or chase things that are smaller than her. She doesn’t care about anything larger than her. 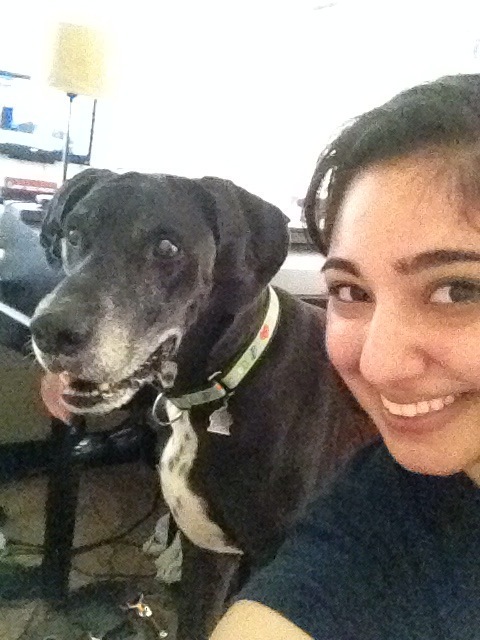 The Dane was excited and tried to sniff her more but she ignored him. I was happy about that interaction, because she could have been growling at him or acting negatively. Apathy is better than aggression. We got his food situated, sign papers, and finish up the exchange. They said goodbye and tried to leave, but he was trying desperately to pry the door open and go with them. Once they were out, he paced back and forth in the living room and alternated between staring at the door and staring out the window. This went on for maybe a half hour. Poor boy. I knew Danes are sensitive creatures but it was still sad to see. After a week of being with them, he was super attached. I tried comforting him by petting him and talking sweetly to him. I looked over at Roxie at one point, who was laying on the couch next to me, and she looked a little blue. She was fine with him at first, but once the fosters left, I think she realized that this dog was going to stay for a while. I made a mental note to consciously give her lots of love and attention while any strange dog is staying with us. After about an hour, he settled in and got comfortable. I have SO much more to say about him but I’ll save all that for another post. 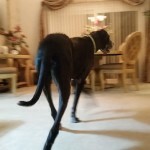 Edit: here are my first thoughts about living with a Great Dane. 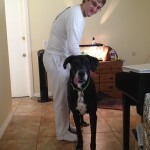 I am pleased to present: Bubba, the mantle Great Dane!